I often travel with cheap airlines, so optimizing my luggage is a constant concern. I certainly have no weakness for shoes or any other bulky stuff, but I frequently stay with friends or Couchsurfing hosts, for whom I always try to bring a gift. Also, I like bringing back goodies for my family and friends, things I cannot find back home, and various keepsakes. Blogging about stuff and shopping is relatively new to me, but I have already shared a review of my purchases for last year′s trip to Thailand and things I wear to enter places of worship. So I might as well share my recent discoveries before a week-long trip to the US East Coast. This entry was posted in Travel blog and tagged budget travel, clothes, comfortable, decluttering, shopping, travel, travel tips, traveling light, usa on 2016-06-12 by Daiva. I wrote about my North America trip last year when I was still on the road. I edited some of the entries later, adding some reflections and interpretations. 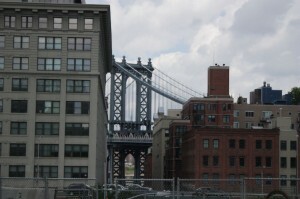 But I omitted two stops on my itinerary – a brief visit to New Jersey and three days in New York. The reason for this was that I left immediately after, and I was too busy to keep blogging after I returned to Lithuania. Also, visiting the West Coast was my primary aim, so it was my priority to blog about San Francisco and Silicon Valley, Los Angeles, Seattle and Vancouver. I was lucky to find lovely hosts with the help of my friend V., who also came from Toronto for a visit. The day I arrived was the 4th of July, so both of us, plus my friends J. and B., who were also in NYC, arranged to get together and watch the fireworks. I got a lift from my New Jersey hosts (I’ll blog about the day with them later), and they first took me to Brooklyn Bridge and then to Ground Zero. I had the luck to be taken to NYC’s main touristic objects by car. Let’s take a non-iconic view. 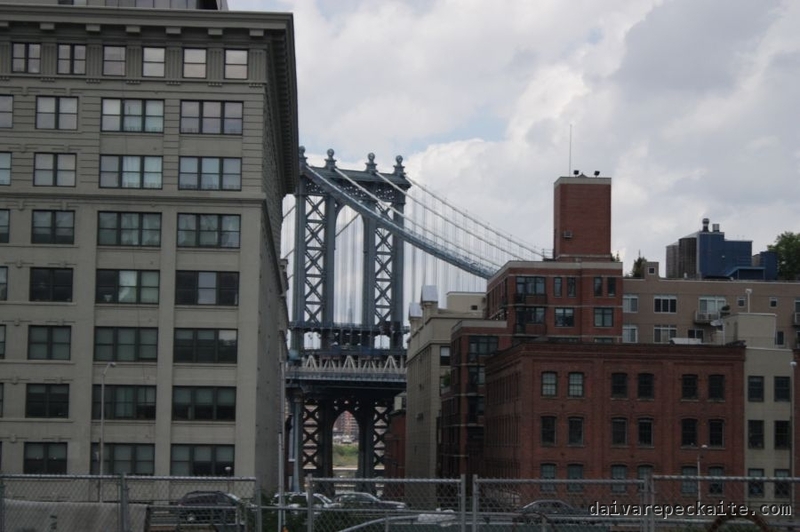 This entry was posted in Comics, Photography, Travel blog and tagged architecture, art, chelsea market, cities, culture, high line park, july 4th, moma, new york, north america trip, summer, tourism, travel, urban, usa on 2014-03-28 by Daiva. Thanks to my friend Amanda, I was able to see different parts of Seattle in a very short time. One of the most advertised landmarks is the Space Needle, connected to the city center by a monorail. The monorail mostly serves tourists – it runs infrequently, and locals enjoy well-developed (certainly according to American standards) public transportation system, so there is no need to take the monorail (below). This entry was posted in Travel blog and tagged north america trip, seattle, urban, usa on 2013-07-03 by Daiva. Having the luck of knowing someone who works in the Silicon Valley, I spent a day in Palo Alto and around. Palo Alto is famous as the site where the famous Stanford prison experiment was conducted. 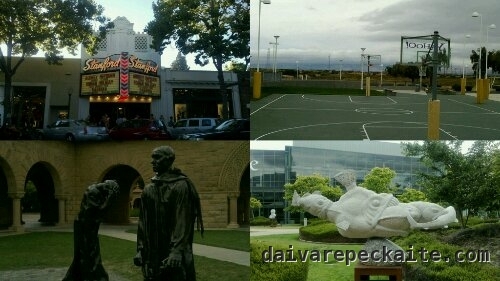 This entry was posted in Travel blog and tagged IT, north america trip, silicon valley, usa on 2013-06-27 by Daiva. I was pondering over the choice of transportation between San Francisco and Los Angeles for a while and eventually decided to opt for the bus. I wanted to experience space and distance instead of forming a pointilistic understanding of the West Coast. 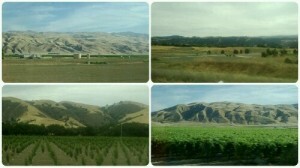 On the way, I saw various views of rural California, its silky yellow fields and impressive mountain ranges. Most of the agricultural produce in the US comes from California. I arrived at the Union Station in LA, which is a very impressive, but confusing building. This entry was posted in Travel blog and tagged bus, california, mountains, north america trip, travel, usa on 2013-06-26 by Daiva. 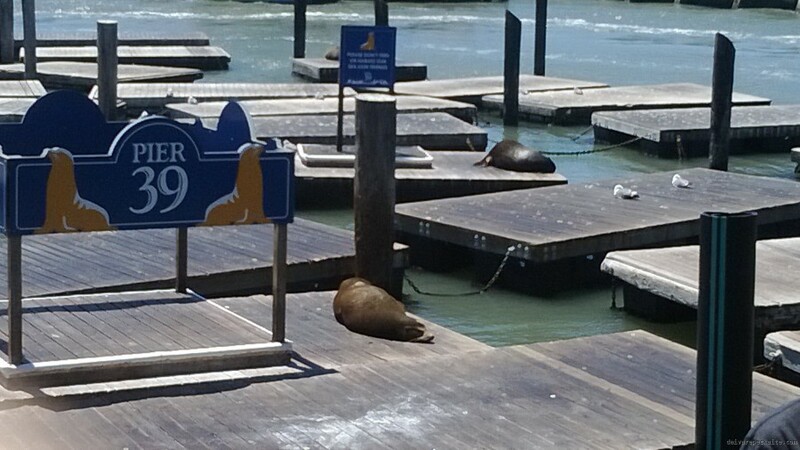 San Francisco is hyper urban, but the main tourist attractions are bisons and sea lions. This entry was posted in Travel blog and tagged north america trip, san francisco, sea lion, usa, wildlife on 2013-06-23 by Daiva. I’m doing an American-style ‘eurotrip’, but in the US. I learned about the concept of ‘doing Europe in 7 days’ in high school English class. Now I’ll try to ‘do’ the US in two weeks. I started with observing the legendary murals in the Mission, San Francisco. Surprises so far: some advertisements are in Spanish only, and the ubiquitousness of Spanish is impressive. The murals often use elements from the Mayan mythology and some add something from India to play around with the double meaning of ‘Indian’ in the past. Migration of native Americans, some of whom still speak Mayan, added native Americans in the places where they were driven away from or assimilated. The murals often depicted various mythical characters, but there was a copyright sign under almost each of them. Good that ancient Mayans didn’t have copyright. 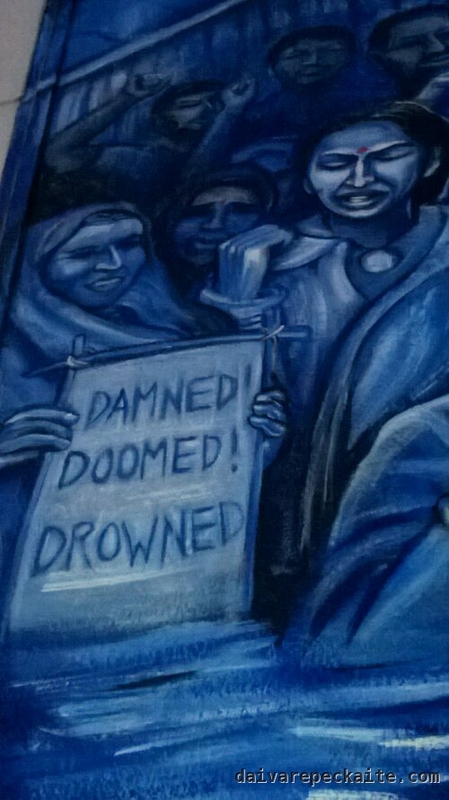 This entry was posted in Travel blog and tagged mission, murals, north america trip, san francisco, usa on 2013-06-21 by Daiva.